Over the past few years, we have been attempting to make better choices in the foods we eat. One of the things we discovered was fermented foods. I never realized how nutritious fermented foods were. They are high in probiotics, digestive enzymes, improve the immune system, reduce the amount of sugar in starchy foods, increase vitamins C & B as they ferment, and lessen anti-nutrients (those things that hinder the absorption of many vitamins and minerals). If you’ve ever eaten sourdough bread, yogurt, kombucha, sauerkraut, then you’ve eaten fermented foods. This is just another food you can add to your diet. Fermented foods don’t have to be eaten in large quantities to be beneficial to you. According to most professionals, just a condiment sized portion each meal is all you need. Trust me though, you will not be able to eat a small portion of these! To make the salt brine, dissolve 6 tablespoons of sea salt or kosher salt to one half gallon water. If you heat the water to do this, make sure it has cooled to room temperature before you add it to the carrots. 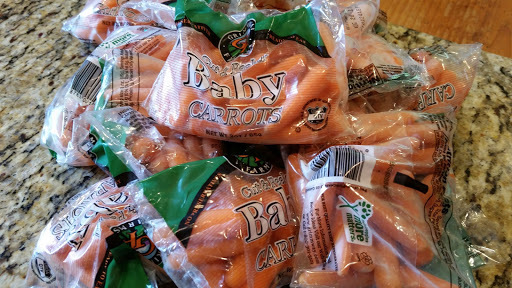 Place a cap on the carrots and let them sit at room temperature for 3 days. You should see tiny bubbles rising to the top and forming around the edge. If not, let it sit for another day or two. If the temperature of your home is cooler, it will take longer. Once you see the bubbles, try one and see if they are sour enough for you. The longer they ferment the more tart they become. Once they are to the taste you like, move them to the refrigerator. 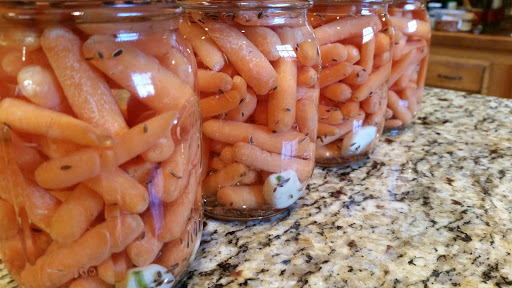 This same recipe/process can be used for any fermented vegetable you like. Green beans is another favorite of ours. You can use cucumbers, peppers, onions, or a combination of veggies. It truly is delicious!